We can change the world if we start listening to one another. Simple, honest, human conversation. . . . Simple, truthful conversations where we each have a chance to speak, we each feel heard, and we each listen well (Wheatley, 2006, p. 8). I recently took part in a one day workshop on conflict management. Given the opportunity to reflect on conflict situations by open sharing and learning, it was clear to me evidence of leadership capabilities of the LEADS framework was prolific. For me, it all started with April’s story. This one stood out for me as a clear example of leadership demonstrating capabilities in the Lead Self, Engage Others, and Achieve Results domains. As a Royal Roads graduate in the Masters of Arts in leadership in health, my reflective mind was bubbling with leadership excitement as I listened to April share her conflict story. It started when April’s colleague John approached her for an opinion. April works in a fast paced healthcare environment doing front line work delivering services to patients. One day John asked her for her opinion on an issue. As April listened to John and reflected, she followed with the opinion. To April’s surprise John responded by rolling his eyes, and shaking his head. Through a number of non-verbal cues it was clear as she shared the story that April was feeling completely dismissed and disrespected regarding the opinion she shared with John on the issue. As April continued to reflect on what had happened, she shared with the group her feelings and internal churn she felt given John’s reaction. It was clear to me she was feeling conflicted about how her solicited opinion was so negatively received. As a result she elected to have a conversation with John. True to the LEADS framework April opted to act by leading self, engaging others and achieving results bridging capabilities that fall within each of those domains. Central capabilities to the lead self domain include deep personal awareness of one’s own emotions, principles, values and assumptions. This domain also stresses the need for leaders to seek out opportunities to challenge oneself through personal learning and character building opportunities. April’s character building began as she moved through this conflict with the courage to speak directly with John on how his reaction felt for her. She reminded him he had approached her for an opinion, and she offered him genuine feedback on how she felt about the issue. She then fed back to him her observations on his non-verbal clues that led her to feel disrespected in the process. Until that point John was unaware he was telling on himself without saying a word. Given the opportunity to review the situation openly and reflect with April, John became very humble and he apologized. The awkward feeling April had when he was present went away and so did the conflict. LEADs framework capabilities within the engage others domains are also demonstrated within this context through factors like social intelligence, being able to understand and manage others, and challenging others on a personal level to grow. Based on the reaction John had to his conversation with April, he was given an opportunity to self-reflect and become personally aware of his actions. Before April exercised the courage to have this discussion, John did not see how he was showing up. April’s demonstrated leadership in engaging in this discussion provided the space for both her and John to personally grow as leaders within this engage others frame. Arguably this example of leading through conflict also touches on the achieve results domain and in particular the capabilities of identifying clear expectations and outcomes. Through discussion April advised John she anticipated he would be open to hearing her opinion and with that she did not anticipate the judgment that followed through his reaction. In sharing her final reflections on this conflict scenario, April provided that the working relationship with John holds a newfound respect. As evidenced by how John now reacts to April in their work setting, he is thankful to her for having the courage to engage in dialogue and lead through this conflict. A leading leadership theorist Daniel Goleman (2002) holds that leadership is largely present through consciously exercising emotion as a primal way to influence and motivate. Emotions run high in conflict. Whether we are referring to leading self or leading others a significant contributor to our success is directly impacted by what lies within. Engaging in dialogue is a fundamental way to resolve conflict. Communicating through the tough times is very well depicted in the work of Patterson, Grenny, McMillan and Switzler (2002) in their top selling book Crucial Conversations Tools for talking when the stakes are high. It is a great read and true pause for reflection and provides some great tools on facilitating our own personal leadership and how we show up in conflict. Challenge yourself – pick up a copy and enjoy the read! Eileen Larkin is a Royal Roads Leadership graduate and active leadership practitioner. A baccalaureate prepared Registered Nurse, with high acuity clinical, corporate healthcare, and entrepreneurial experience; Eileen holds a strong background in health in a variety of settings. Having completed her Masters Degree in leadership with an emphasis in health in October 2010, she is now working in a provincial role spearheading change management initiatives with Health PEI. Goleman, D., Boyatzis, R., & McKee, A. (2002). Primal leadership: Learning to lead with emotional intelligence. Boston: Harvard business School Press. Patterson, K., Grenny, J., McMillan, R., & Switzler, A. (2002). Crucial conversations: Tools for talking when the stakes are high. New York: McGraw-Hill. Wheatley, M. (2006). Leadership in the new science: Discovering order in a chaotic world (3rd ed.). San Francisco: Berrett-Koehler. The LEADS framework provides a comprehensive overview of dimensions of leadership. There are many ways to use the framework. One approach that I find very useful is to create reflective questions from the capabilities. I rarely use questions from all 20 capabilities as that would feel overwhelming. More often I go to the framework with a particular question or challenge that I’m facing and see which capabilities stand out as potentially useful in sorting out the challenge. I then turn those capabilities into questions to ponder. I’ve often found new insights this way, using the capabilities to stimulate my thinking, particularly to ferret out any aspects of the issue that I have not considered. Listed here are sample questions developed to support reflection when approaching any change. Find 3-5 that interest you, and reflect on how you might improve your approach to a change by focusing on those questions. What strengths / limitations do I have with respect to dealing with this change? How does this change relate to my values? What learning do I need to do to be effective during this time of change? How does this change challenge my resilience and confidence? Who can I support or challenge to develop by participating in the change? How can I meaningfully engage people in the coming change? What communication plan /methods will be essential as we deal with this change? How can we use this change as a vehicle for building collaboration? What outcomes are important for us to achieve with this change? How does the change align with our organizational values, mission and available evidence? What implementation challenges do we foresee when working through this change? What criteria will we use to measure our success? What partners do we need to include in this project? What are the needs of our customers and how will this change improve the quality of our service? What knowledge / information / intelligence do we need to base our change decisions on? What political forces will bring opportunities or threats during this change? What impact will this change have more broadly on the people, processes and services with which we interact? How can we support innovation and creativity during this change? What are some of the emerging trends that we can leverage during this change? Which stakeholders will champion this change? We are delighted to announce that Leads Learning has been selected as the successful provider to assist the British Columbia Health Authority Leadership Development Collaborative (BCHALDC) provide new managers and leaders with the foundational knowledge and skills they need to be successful within BC’s changing and challenging health care context. Chief among our responsibilities will be to design a curriculum for a 5-Module leadership course, with 49 hours of instruction time, in what is currently being referred to as the New Manager Core Curriculum (NMCC). BCHALDC is a collaborative of leadership development specialists from 7 health authorities in BC. The objective of the BCHALDC is to increase the supply of highly skilled leaders, make more effective use of the workforce’s skills, and provide ongoing support and education to promote high quality care and effective health human resources planning. Leads Learning will be working with representatives from all BC health authorities through a project manager to build a coherent development program for new managers that uses the best of existing programs and adds new material, supported by: learning objectives, module content, learning activities, facilitator guides, participant workbooks, homework activities and instructional materials that can be used in all 7 health authorities in the province. Stay tuned to hear more about what we learn along the way. Thanks, BCHALDC for the opportunity to work with you. Adapted from a presentation at the Saskatchewan Registered Nurses Association Nursing Leadership Conference, March 2012, Courage to Lead: Transforming Health Care. By Shauna Fenwick, Leads Learning Founding Partner. “In a democratic society and in a profession, leadership functions belong to each of us. Leaving leadership to an elite few is not an option”. (Fugate Woods, 2003). These 2 quotes are central to addressing what many call the leadership crisis in health care. In our fast paced, task focused and fiscally constrained health system, where there are multiple causes for outcomes, and causes that are often only knowable in retrospect, where there’s more than one right answer to most questions, we need leadership everywhere. We need leaders in formal positions who can create innovative policies and build collaborative networks across a variety of communities (agencies, professions, geography, users and providers). We also need leaders who work at the point of service delivery, leaders who can see the impact of decisions and possibilities for new ways of acting. Focus your leadership using the LEADS framework (see examples below). Given the pace and demands of your work today, you need to make a conscious decision to lead, to be intentional in how you approach the many jobs that come your way every day. What was your last working day like? Were you driven by a long list of tasks to complete, asked to respond to an unceasing rapid fire of demands? Did you go from meeting to meeting with no time to think or prepare for the next meeting or do the work from the last meeting? In all of that essential busyness, how many times did you stop and ask yourself how you were going to lead in the moment of any of those activities? Some of you may already be doing this. Imagine the impact if everyone in health care, no matter their work or position, set out to consciously lead in the midst of their busy work. Imagine the collective energy and synergy of small, random, conscious acts of leadership every day. What is calling for leadership in your workplace? The LEADS framework has 5 major domains. Each domain has 4 capabilities. That means there are 20 possibilities for types of leadership action. None of us can work on 20 things at once. Once you’ve answered the question about what’s calling for leadership in your work, scan the 20 capabilities and pick 1 or 2 that you think will contribute to addressing the issue. I’m explicit about “contribute” as I don’t expect you to “fix” the issue, just contribute to its resolution. Once you’ve chosen 2 capabilities, think about actions you can take next week to lead from that stance. Here are some examples. A front line hospital nurse that I worked with said that the main issue calling for leadership in her workplace was the grumpiness of the staff. The mood is understandable: they had the usual problems of rising workload, staffing challenges and pressure from other departments for faster admission, discharge and flow-through. Their manager was off site and was only able to visit the unit once, maybe twice a week, so was unable to do much to address some of the immediate morale issues. This nurse decided that 2 LEADS capabilities would help address the mood on the unit: Contributing to the creation of a healthy environment (in the Engage Others domain) and Purposefully build partnerships (in the Develops Coalitions domain). She felt that she could do things herself to build a more positive social climate on her unit, by attending to the relationships among staff and making sure that there were positive human connections among them, in the midst of all the work demands. She also felt that building partnerships was key, as many other people came onto the unit who experienced the grumpiness first hand. She started by stopping and recognizing the physios, OTs, RTs, doctors, porters, and other non-unit personnel by name and welcoming them to the unit. She organized an appreciation day for everyone who had work of any type on the unit, and persuaded her manager to spring some money for a cake. In her own way, she was using 2 LEADS capabilities to make a difference on her unit. Middle management can be one of the most difficult places to be in a health care organization. You get information from the top, the side and the bottom. You know firsthand the impact of policy and strategic decisions made in the executive suite (or maybe even in the Minister’s office). You also have to make sure there are enough qualified hands on deck to do the work. One middle manager I know was responsible for several units located at different sites. With the last round of regionalization, these units actually came from previously different organizations and considered themselves unique and distinct from the larger organization. This manager felt that the leadership being called for in his department was for better relationships across the different units and sites. He chose the capabilities of Building teams (Engage Others domain) and Communicate effectively (also in the Engage Others domain). His focus was to create a sense of common purpose among all units in his portfolio. He called a meeting with staff from all areas, and worked with them to formulate a vision for their service and a shared purpose statement. During this one-day meeting, they also got to know one another as individuals, and crafted a set of agreements about how they wanted to work together on common issues. The second leadership capability that this manager wanted to address was his ability to listen to staff. He felt that he was constantly rushing, and seemed to be more in a “telling” mode than a listening mode. He shifted his approach to unit visits by creating an open 20 minute coffee break with staff every time he came to the unit. This took some logistical attention to have his visits coincide with times that staff could take a break, but over several weeks, the pattern of talking over coffee became the norm for his visits. He learned a lot by asking people what was foremost on their minds, and simply listening. One leadership team I worked with decided that they wanted to be very clear and transparent that leadership needs to be a visible component of their strategic planning. Yes, they realized, implementing the strategic plan required leadership, but never before had they explicitly stated the leadership capabilities that would be necessary to achieve their plan. While all 20 capabilities were important, the executive team strategically focused on keeping Customer service (Develops Coalitions), Strategically aligning decisions with the organization’s values (Achieve Results), Encouraging and Supporting innovation (Systems Transformation), Purposeful partnerships (Develops Coalitions) and excellent communication (Engage Others) in the forefront. Each strategic plan is checked against these 5 leadership capabilities to ensure that the organization is focused and that the actions of leaders are coordinated. I use the Lead Self domain as a reflective tool to review my actions on a regular basis. How did I show up as a leader today or this week? How did I demonstrate my values of making a difference, honesty and learning? How did I manage myself in tight quarters – was I reactive, or thoughtful and collaborative? How did I develop myself this week? Both leadership and learning are social acts. While we might read a book on our own, or attend a class, it’s in dialogue with others and in trying out new behaviours in the workplace that we make sense of theory. Evidence shows that having a learning buddy can both accelerate and deepen your learning. I hear many leaders say that they never talk about leadership, and that once they do they often find that it taps into their passion for being in health care– to work with others to achieve a positive outcome. Find a buddy / friend / confidante / mentor with whom you can talk about your leadership, where you can discover together what leadership means to you and how you can take steps in your workplace to contribute to addressing the issues calling for your leadership. The beauty of the framework is that it is adaptable to the practical nature of many of us who work in health care. For any issue you are facing, choose a couple of capabilities that you think might help you organize your thinking and your action, and start now. Fugate Woods, N. (2003). Leadership – Not just for a few! Policy, Politics, & Nursing Practice. 4(4), 255-256. Phil Cady is a Leads Learning scholar practitioner active in the areas of leadership development and social systems transformation. In addition to being president of his own consulting company, CLSWEST Inc, he is an Associate Faculty member in the School of Leadership Studies at Royal Roads University where he is also pursuing his Doctor of Social Sciences degree in the area of complexity science and strategic decision making. In the evolving structure of a globalized economic reality, what capabilities are required to effectively lead large-scale, systemic operations in that environment? What are the implications across multiple industries? Who can come to the party in a transnational state? Does the LEADS framework hold up beyond a domestic, come international mindset into a transnational world that looks beyond internal relations into a highly complex, exceedingly networked and culturally determined world beyond our current frame of reference? What elements of the LEADS framework endure, which domains and capabilities collapse and what new ones emerge as essential? To make these questions even more outrageous and, well, quite possibly terminal, I am wondering if lessons and promises from complexity science will be the ultimate framework for critical thinking that supersedes systems thinking. Blasphemy, isn’t it? But as Einstein is oft quoted to have said, “The significant problems we have cannot be solved at the same level of thinking with which we created them (Albert Einstein 1879 – 1955). Maybe it’s time for a game of catch-up for today’s leaders. The word salad of popularized systemic nomenclature has made uptake and understanding of the System Transformation domain of the LEADS framework and perhaps the “demonstrate systems/critical thinking” capability, arguably the most tenuous of the lot and frequently avoided in terms of learning opportunities to support development. But proselytizers and rhetoric abound at the senior levels. Why, I often wonder? Is it a safe premise that this domain is what captures attention and galvanizes opinion? Is it a problematic one? Or an undiscussed reality that beyond praise for simple to complicated system fixes we wait for others to go first on the bigger, riskier, high-leverage transformation efforts? You know – change is good, you go first. the terms complicated and complex are ubiquitous and in the majority of instances, conflated. What sometimes results is implementation of expert-driven models as a component of system transformation when sometimes emerging practices and our ability to deal with ambiguity should be the order of the day. Similarly, the more organizations attempt to pound home new models without full appreciation of cause and effect, the more probable complete rejection of best practice will be! Add to this the highly risk-averse nature of many public sector endeavours (not to mention critical private ventures as well) and safe-to-fail experimentation falls by the wayside in favour of fail-safe strategic planning. Great insights in both instances and they were absolutely on the mark. What this reinforces for us all is the notion of requisite applicability. That is to say we need to think differently in different contexts. System Transformation requires the introduction of a clear lexicon, clean concepts and a healthy dose of ambiguity just to keep us on our toes. It is our natural sense-making tendency to over-simply things or to make things more difficult than they need to be that brings us the reality we experience on a day-to-day basis. So, it’s time to think differently, not just about different things. Time to break free … (Thanks Freddie). We’re excited to publish our first guest blog post by Major General (Ret’d) Lise Mathieu. Check out her incredible insight aligned with the LEADS leadership framework. Major-General (Ret’d) Lise Mathieu, CMM, CHE is the past Director General Health Services and Commander of the Canadian Forces Health System. She is a certified executive coach, facilitator and change leadership expert with depth of experience in medical system strategy and operations. When I think back, one of my biggest leadership challenges has to have been leading the transformation of the Canadian Forces Medical Service into a vertically integrated medical and dental Health System. Leadership is ‘All About People’ I often said throughout my professional life, and if you work in a service industry, ‘people’ very much include your clients, customers, patients, those who support them etc. Using the tools of the time, we launched into a profound cultural transformation. Twelve years hence, I can honestly say that had the LEADS Capability Framework been around at the time, I would not have hesitated using it as the foundation upon which to build the transformation. 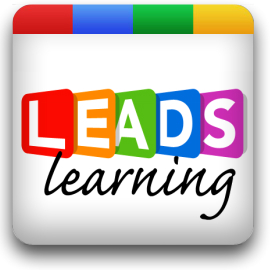 LEADS is a particularly powerful acronym. First, it builds on self awareness, self management. Wait. I am getting ahead of myself. Situate yourself at the center of your universe and reach outward. You quickly contact ‘people’: family members, neighbors, friends, teachers, professors, colleagues, subordinates, supervisors, municipal, provincial, and federal authorities; and the list goes on. At the centre of it all is you and the way you interact with them all. In the developmental process of your journey from childhood to adulthood, you very quickly learn that certain behaviors will result in good things happening to you whereas other actions will not. As you become increasingly self-aware, you learn to develop and manage yourself to fit in, to elicit the right response, and to be happy. It is not enough to fit in and to keep up if you have to become someone you are not to be accepted. Your character takes shape. Ultimately, as your world expands to include more people and becomes more challenging, you LEAD SELF – to fit in, to keep up, to elicit the right responses, to remain true to yourself, to be happy. The more you progress, the more complex your world becomes. You are increasingly on your own and interacting with peers who, like you, are trying to find their place in society. Sometimes you lead, sometimes you follow. You should discover how important it is to communicate effectively. Eventually, you realize that effective listening is key. You continue to move forward both as an individual and with your peers. As a young adult, social interactions become much more complicated. There are a growing number of people in your circle of life. Whether you lead or follow, you recognize there are objectives to be met, goals to be achieved and you are but one cog in a big wheel that keeps on turning whether you are ready or not. Through experience, you discover the power of teams. You start to think about what it takes to build teams that will be successful and grow together. You are still very much in the LEAD SELF mode but, increasingly, you ENGAGE OTHERS. Thing is, you may be in a leadership role now and have people who depend on you. Given your understanding of the task at hand and the availability of resources, you set directions, you make decisions aligned to your organization mission, vision and values. You take action, you assess and evaluate outcomes. You are accountable and you hold yourself to that. Fundamentally, you are still in LEAD SELF and ENGAGE OTHERS mode but you are growing into a goal oriented leader who wants to ACHIEVE RESULTS. Up to now, I have kept my comments on generic individual development and leadership. For the remainder of this post, I will focus my comments on leadership in the healthcare field where complexity is reality. Healthcare is a system of systems. Your commitment to ACHIEVE RESULTS requires careful assessment as little can be changed without impacting others. Who, what, when, where and how will the impact be felt? Is it within your power to effect this particular change? As you gain clarity on these questions, you realize that to continue to ACHIEVE RESULTS you need to purposely build partnerships and networks, demonstrate commitment to customer and to service. You must expand knowledge and, you be politically astute to negotiate and mobilize support. Here you are in LEAD SELF, ENGAGE OTHERS and ACHIEVE RESULTS modes. To continue to progress and grow, you must now DEVELOP COALITIONS. Contrary to popular belief, this is not solely the domain of CEOs. It happens throughout the organization, at every level, when one team’s work affects others in a way that is different from the expected outcomes. System’s thinking is a key reality in healthcare leadership. One commonly made mistake is to assume that system’s thinking is the purview of the strategic level of leadership. Whereas it is certainly present at the strategic level, the fact is that it permeates all levels and facets of the healthcare reality. A doctor’s office is but a system within a system. A small clinic is but a system within a system. System’s thinking is something that we ought to practice at every organizational level on an ongoing basis. The extent to which we do so and the amount of time spent on system’s issues will certainly grow as we progress to the highest levels. System’s thinking is every leader’s business. Ergo every leader needs to demonstrate system / critical thinking, encourage and support innovation, orient to the future and champion and orchestrate change. In the end, as a successful health care leader, you are in LEAD SELF, ENGAGE OTHERS, ACHIEVE RESULTS, DEVELOP COALITIONS AND SYSTEM TRANSFORMATION mode. I believe LEADS to be so intrinsically representative of how we evolve and grow as individuals in society that I would not have hesitated to use it as the foundation upon which to orchestrate the transformation journey of the Canadian Forces Health System. Healthcare is all about people: those who provide healthcare, who support healthcare and who consume healthcare. It is not about things. As the number of people increases, so does complexity. It is inevitable. Healthcare is complex. As a leader you need to LEAD SELF always. When we talk about a vision of the future, that future is new for you too. You are a product of your past, ergo you have baggage. You need to grow into the future vision just like the people around you. You need to keep all your stakeholders engaged so that you progress and mature ‘together’ towards the new vision. You need to achieve results while maintaining a delicate balance between your clients and organization, in spite of the chaotic reception often ensuing from change. You need to build coalitions to ensure that in trying to implement a better future, you don’t become everybody else’s problem. And, you need to think system as, irrespective of where you stand in the organization, you are but a system within a system. As individuals develop, so does the organization. With LEADS, everything starts with the individual and ends with the individual, and how he / she LEADs SELF in good times and in bad. Embrace LEADS. After all, you have been doing it all along! Welcome to the Leads Learning Blog! We are excited to launch an integrated approach to services and learning programs in support of leaders using the LEADS framework produced by Royal Roads University (through the good work of Dr. Graham Dickson) and HCLABC. We plan to use this blog space to keep you up-to-date on our own projects, thoughts, emerging practice and exciting news in support of Leads Learning initiatives big and small. Here is a little bit about who we are and why we created Leads Learning. Leads Learning is a network of scholar practitioners providing learning programs, consulting services and resources to increase the capacity of leaders where using or plan to use the LEADS leadership framework. Leads Learning was borne of the realization that there is a growing demand for service and support in the use of many different approaches to leadership development including the LEADS framework. Each of the network members has special certification, qualification, expertise and/or skill in at least one of the LEADS Domains. Our network members have depth of experience and contribution in activities related to researching the LEADS framework and designing programs ranging from in-service seminars and workshops to multi-week post graduate residence programs. We are excited about the road ahead and the possibilities the future holds. Please contact us (info@leadslearning.com) to learn more about our upcoming programs, services and offerings.